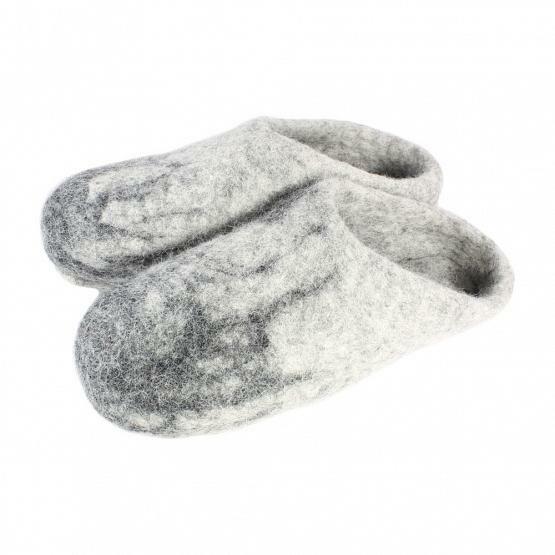 Men's home slide slippers handmade of pure high quality sheep wool (natural felt) with non-slip suede soles. Famous Russian valenki boots are made using the same process. Wool can keep your feet cool in summer and warm in winter. It also fights odors and moisture providing dry heat that helps to relieve rheumatic pain. 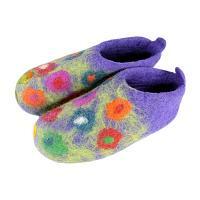 Felted wool gently massages feet, which improves blood circulation increasing metabolism and regeneration. Only plant-based color dyes, hot water, and natural soap are used in production making this the most Eco-friendly process in textile manufacturing. Imported from Russia. Note: color, texture and finish may vary. Treat your feet to the most comfortable slippers available today!